Do you receive disability cash benefits from the Social Security Administration? Are you between 18 and 64 years of age? Are you looking to find meaningful and substantial work? Are you ready to test your ability to work and earn your way off of benefits? If you answered YES to all of the above, Ticket to Work might be for you! To serve you better, please let us know of any accommodation needs in advance by contacting (703) 827-3782. Join us for an information session, Career Services for Job Seekers with Disabilities, on March 8th. Register here! Ticket to Work is a Social Security Administration (SSA) employment program for Social Security disability beneficiaries between ages 18 and 64 who can and want to work. The goal of Ticket to Work is to increase opportunity and choice for Social Security disability beneficiaries in obtaining no-cost employment support. The Ticket to Work program is flexible and voluntary. Beneficiaries are encouraged to research and contact Employment Networks (ENs) to discuss services. Once an agreement between the beneficiary and the EN is reached, the two will work together to develop an Individual Work Plan (IWP) to assist the beneficiary in reaching his or her employment goal. A beneficiary can assign their Ticket to one EN at a time. Any organization contracting with the Social Security Administration (SSA) to provide services under the Ticket to Work program is designated as an Employment Network (EN) by SSA. Social Security disability beneficiaries can research Employment Networks serving their area online at ChooseWork.net. Not all Employment Networks are the same and services can vary. What are the benefits of assigning your Ticket to SkillSource? As an Employment Network, we are available to support your job search and career goals by utilizing workforce resource and training services found at all Virginia Career Works – Northern Career Centers. Your Ticket to Work case manager will work with you to meet your employment goals, navigate available workforce services and provide on-going support and benefits counseling once you start work. If you receive disability cash benefits from the Social Security Administration (SSA) and are between ages 18 and 64 you probably have a Ticket! Your Ticket number is your social security number. How do I know which Social Security disability benefit I receive? There are two disability benefit programs under the Social Security Administration: Social Security Disability Insurance (SSDI) and Supplemental Security Income (SSI). To find out which benefit you receive (or both) you can request a benefit verification letter online through your my Social Security account. To set up or use your account go to Sign In Or Create An Account. Can I participate in Ticket to Work if I have a disability but do not receive disability benefits from Social Security? No. Ticket to Work is Social Security Administration (SSA) program designed for SSA disability beneficiaries. Do you help individuals with disabilities apply for Social Security disability benefits? No. However, the Social Security Administration website offers a lot of helpful information to get you started and complete your application online. See their video, Helpful Tips for Applying Online. There may be community organizations available in your area who can assist you with the application process. Your local Center for Independent Living is one resource that might be able to help you get started in your search. Yes. Short-term job skills training may be available through dual enrollment in the Workforce Investment Act program. Training is contingent on federal eligibility requirements and funding. For more information please see, Workforce Innovation & Opportunity Act (WIOA). Do you offer help with starting a business? Yes. Resources for entrepreneurs are available at The Center for Business Planning and Development in Annandale, Virginia. The mission of the center is to provide resources and technical assistance to emerging entrepreneurs and existing businesses throughout Northern Virginia. We may also be able to offer WIA eligible adults help in starting their own business through its Employing Northern Virginia Through Entrepreneurship (ENOVATE) program. If I am working with the Virginia Department for Aging and Rehabilitative Services (DARS) can I also work with you? Yes and no. Your Ticket cannot be assigned to DARS (or any state vocational rehabilitation (VR) agency) and to Virginia Career Works – Northern under the Ticket to Work program at the same time. If you have an open case with DARS your Ticket may already be assigned to DARS and therefore we would be unable to assist you with Ticket to Work specific services. However, if DARS helps you get a job and your case is closed you can request your Ticket to be transferred to Virginia Career Works – Northern for continued services upon exit. These services can assist you with ongoing employment needs and benefits counseling. Please note that all Virginia Career Works – Northern center resources and programs (contingent on program specific eligibility) remain available to you while working with DARS. Do you hire directly under the Ticket to Work Program? No. Some Employment Networks are employers and work under a model that allows them to hire their program participants.  Virginia Career Works – Northern does not operate under this model. Our services include personalized assistance to help you prepare for the competitive job market and long-term supports once you start work.